A photo of an egg has become the most-liked Instagram post of all time. And all because the people behind the Instagram egg account asked everyone to like the post to “set a world record together”. The bonus being that it knocked Kylie Jenner off the top spot. Instagram has grown and evolved massively since launch. It was, at one point, just somewhere to put your photos up online. They didn’t have to be the best photos in the world, as long as they were interesting. Now, aspiration, perfection, and celebrity are key. If you’re a celebrity on Instagram you’re going to get lots of followers and likes. The same goes for attractive people, people with money, and people who spend their lives doing things us ordinary folk cannot do. Which makes the story of the egg so refreshing. The egg photo in question is just that; a stock photo of a hen’s egg standing on its end. The name of the Instagram account is world_record_egg, with the anonymous Instagram account holders referring to themselves as “Egg Gang”. The post essentially begs for likes, saying, “Let’s set a world record together and get the most liked post on Instagram. Beating the current world record held by Kylie Jenner (18 million)!” And at the time of writing the egg has amassed 28 million likes. Kylie Jenner has tried to jump on the bandwagon by posting a video of her cracking an egg onto the ground. And because she’s Kylie Jenner it’s amassed over 2 million likes and counting. But the game is up, she’s lost her crown, and an egg is our new hero. What Does the Instagram Egg Tell Us? There are various things to unpack from all of this. For one, it shows what happens when the internet pulls together in the same direction. It also suggests that people are sick of seeing the same celebrities dominating Instagram and the like. However, more than anything else, it shows that people will click “Like” on anything. 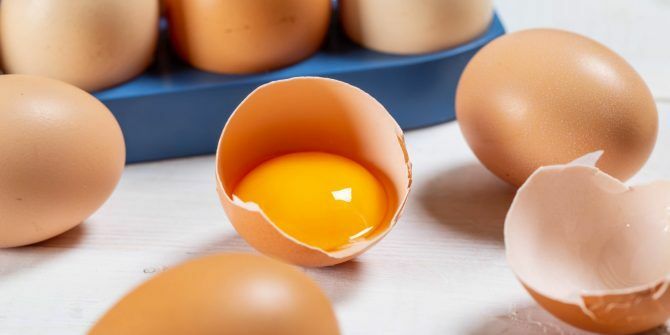 Even a stock photo of an egg. And that’s a rather sad indictment of how obsessed we all are with our smartphones 5 Simple Ways to Be a More Mindful Smartphone User 5 Simple Ways to Be a More Mindful Smartphone User It's easy to get sucked into the smartphone world in the modern age and forget about the real world. Here's how to take back control of your life. Read More , the internet, and social media in particular. Explore more about: Instagram, Stock Photos.